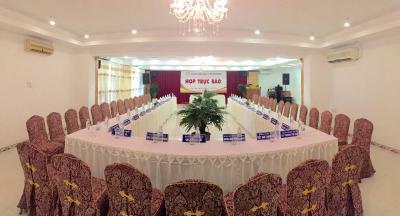 The room is quite big and breakfast is full of Vietnamese dishes. Mid-range hotel in a great location right next to the beach, although the beach was not in the cleanest condition due to the constant rain in early January. Rooms were big and beds were comfortable. Breakfast was good, not outstanding but with enough of a selection to cater for western and Asian tastes. 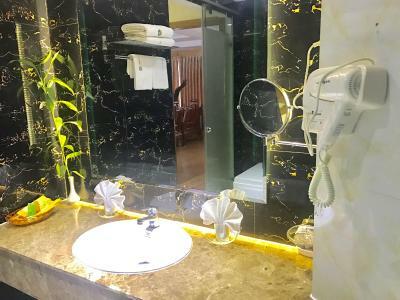 The hotel is about 10-15 minutes walk away from the the busy areas but it is only a short taxi ride away. The Restaurant serves up nice meals if you do not wish to venture outside but you will be paying accordingly. Kids liked the pool but watch out for the cracked tiles. 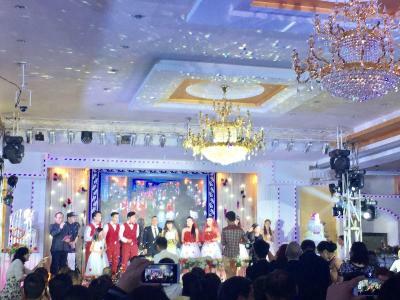 khung cảnh bố trí hướng phù hợp, các phòng đều nhìn ra biển. 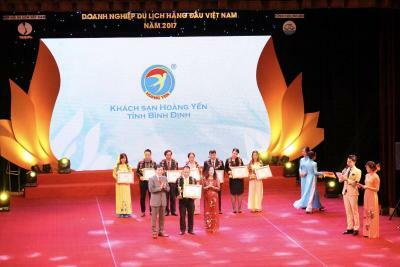 Gần khu trung tâm ăn uống, giải trí. Прекрасный номер с видом на море! Очень отзывчивый персонал. Всё прекрасно! Спасибо! 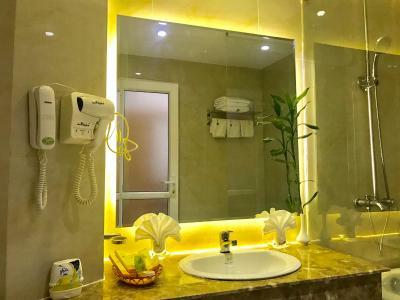 Hoang Yen Hotel This rating is a reflection of how the property compares to the industry standard when it comes to price, facilities and services available. It's based on a self-evaluation by the property. Use this rating to help choose your stay! 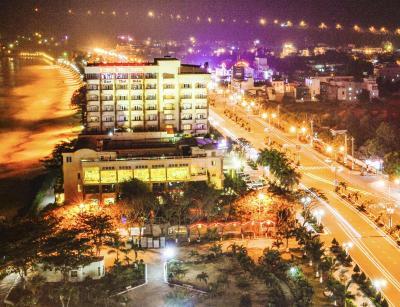 Located right across from Quy Nhon Beach, Hoang Yen Hotel offers accommodations with a private balcony. It features 4 dining options, an outdoor swimming pool and free wireless internet. 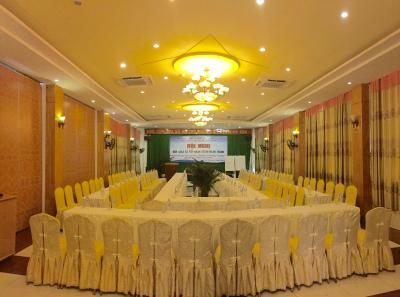 Hoang Yen Hotel is a 5-minute drive from Quy Nhon Commercial Center and Quy Nhon Bus Interchange. 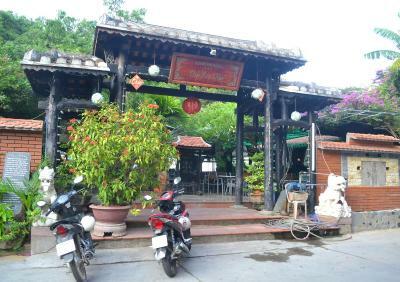 Phu Cat Airport is a 40-minute drive from the hotel. 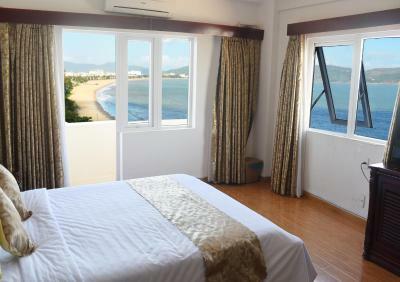 Air-conditioned rooms at Hoang Yen come with large windows that offer plenty of natural light. 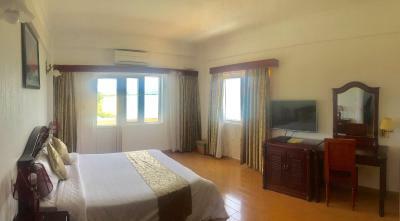 Each well-furnished room is equipped with a cable TV and private bathroom with a bathtub. 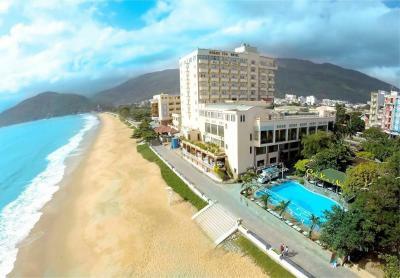 When would you like to stay at Hoang Yen Hotel? Room for 3 guests offers additional living space. 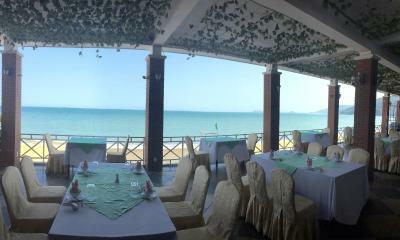 Private parking is available at a location nearby (reservation is needed) and costs VND 46684.65 per day. Large room features views of the Pacific Ocean. House Rules Hoang Yen Hotel takes special requests – add in the next step! Hoang Yen Hotel accepts these cards and reserves the right to temporarily hold an amount prior to arrival. There was an intermittent odour from the bathroom plumbing but it was nice and clean though. Staff. They charged my credit card without intimating me. Even having paid the bill in local currency, they could not reverse the transaction. Asked my credit card no but they could not even transfer this through bank. For this too I had to follow up with them 3 to 4 times. Very awful experience! The lift is old and the light of the button is off, need to fix or replacement.